The Costa Blanca South is the place chosen by many inhabitants of northern and central Europe to buy a home. That's why we offer you our real estate in Orihuela Costa Spain. Orihuela Costa is an extensive zone of Mediterranean coast of around sixteen kilometers. Along this stretch of coastline we find magnificent beaches of soft sands interspersed by cliffs ideal for relaxing or doing water sports. 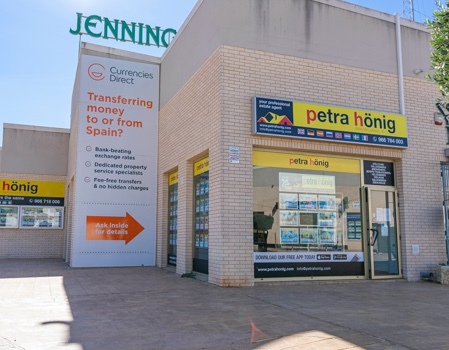 Its privileged situation and its excellent climate are the fundamental reason why many Europeans decide to get away from the cold of their countries of origin and spend long vacation periods in this pleasant corner of the Spanish Costa Blanca. Its beaches of warm and transparent waters receive annually important badges, such as the "Blue Flag" or the "Q", which define and qualify the quality of its beaches and its services, offering itself as a quality place to receive tourism. In these wide beaches you can spend pleasant days and you will have necessary services such as security and lifeguard posts, the rental of hammocks and umbrellas, showers, foot washes and litter bins, or access to the beach through wooden walkways. In its beautiful Maritime Walks you will find shops where you can buy a wide variety of items, including everything you need to enjoy the beach. You can find swimsuits and bikinis, hats and caps, shirts and sarongs, mats and floats, beach towels, sunglasses, sunscreen and sunscreen creams, etc. 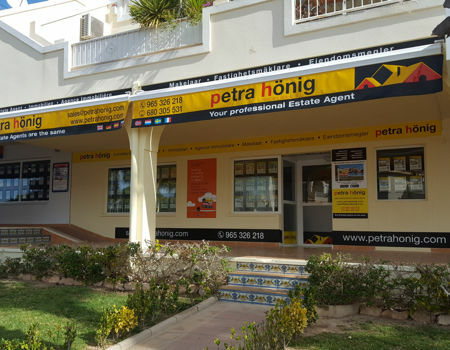 Do not hesitate to ask at our real estate in Orihuela Costa Spain for the house of your dreams. Our real estate agents will listen to you and elaborate a profile of your habitual residence. Next, they will send you a carefully selected selection of properties that may be of interest to you. Each property will be accompanied by a brief description of its main features and an extensive photo gallery. In this way you can imagine the different types of materials with which the properties are built, their level of conservation in resale properties, the spaciousness of their terraces or the views they offer you. Also, you will also know the services available in the environment. We will be happy to assist you in those questions that you want to make us regarding the houses that are of your interest. We offer single-family homes near a golf course, apartments on the beachfront, bungalows with community developments where you can enjoy magnificent pools surrounded by solarium, or homes in urban centers that offer you the closeness and variety of all services. 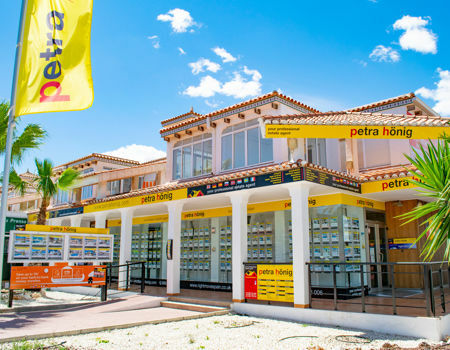 To contact our real estate in Orihuela Costa Spain you have several options for you to choose the one that is most comfortable and simple. You can follow us on social networks and thus know better our trajectory and our evolution. You can also subscribe to our newsletter and we will keep you informed periodically of our real estate news.